PLUSCO 320 Premium Black OD Pipe Coating will dry to a glossy black finish, and may be stenciled using conventional means. PLUSCO 320 Premium Black OD Pipe Coating should be applied to metal surfaces enrich are brushed to remove any dust or surface rust. Conventional pipe cleaning machines provide satisfactory results for surface preparation. PLUSCO 320 Premium Black OD Pipe Coating allows for easy identification of stencils or finish to the pipe surface, which is often desirable to resellers of tubular goods. PLUSCO 320 Premium Black OD Pipe Coating is a fast drying black OD pipe coating suitable for use on oilfield tubing. 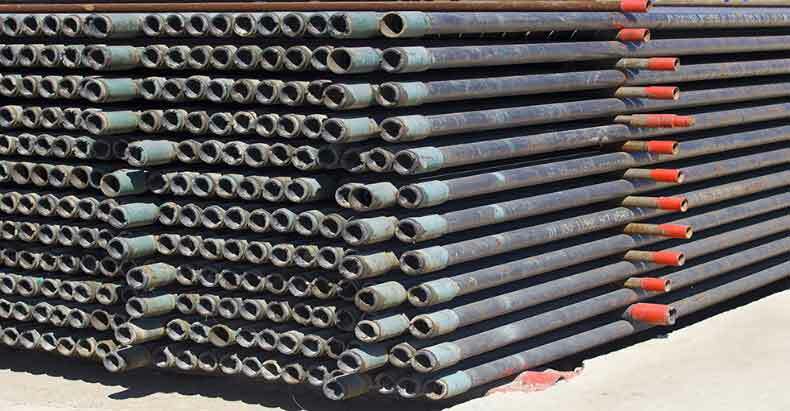 casing, drill pipe, wash pipe or other tubular goods. It may be sprayed using conventional equipment or applied by brush, roller or dipping. It should not be used in the ID of pipe that is to be drifted because the film which will be left will slightly affect the ID. Viscosity #4 Ford Cup @77 °F 40 - 45 Sec. Dry Time 10 - 12 Min.